January is a great time to reflect on the past year, but also the upcoming year! Whether you want to lose weight, start reading more, or set time aside for a personal artistic passion, this is your year to do it. January is the perfect starting point for laying groundwork on your goal. For example, you could meet with a weight loss coach, organize a reading list, or gather up materials for your personal project. If you’re a homeowner, why not apply that same mentality to your home’s landscape? This is a new year so why not set some goals for your home’s landscape? Here are some of the top New Year’s Resolutions for your entire landscape. 1. I will finally install a patio. Nothing adds more to a home than a back patio and the best part is that no two patios ever are designed the same. Patios are both a homeowner’s and hardscaper’s dream project because there is so much room for imaginative design. 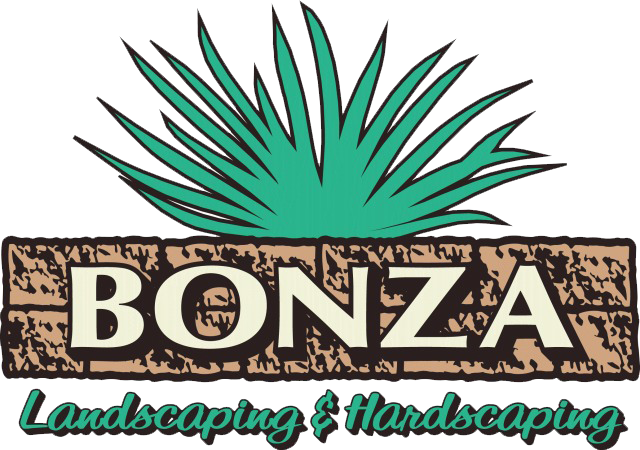 Work with us or your local landscaper to come with a great design for your back patio. Then get it installed in time for the summer! You’ll be glad it’s there when you’re hosting parties. 2. I will start thinking about my landscape NOW and not wait until spring. Everyone thinks “landscaping” and thinks plants. Plants don’t grow in the winter, so landscaping is usually put off until springtime. This may not seem like a problem on its face, but you’re limiting your landscape’s potential. There are plenty of ways to bring color to your landscape during the winter. We wrote all about fall and winter landscaping, so give that blog post a quick read if you haven’t yet. 3. I will learn to conserve water. Water supply takes a real hit with landscaping. We homeowners should always be mindful of water conservation and making sure we’re never wasting water when we water our lawns. Rain barrels are a great start! This is the most important resolution. Too often we homeowners feel like slaves to our garden due to all of the upkeep. This isn’t a bad thing – after all, maintaining a landscape is a lot of work! But resolve to make 2015 the year you spend more time appreciating your landscape – whether that entails a freshly cut lawn, beautiful garden, or wonderful new hardscaping – rather than complaining about the upkeep. Make sure you carve out time in the calendar with something like, “Sit out on the lawn” or “Take some garden photography.” It’s time to stop and smell the roses! Can we help with your landscaping or hardscaping New Year’s Resolutions? You bet! Give us a call at 610-277-2022 and visit our Facebook to look at examples of our work!